Targeting: Specify areas of target, including location, demographics, etc. Plumbing Webmasters offers Google Ads management services to contractors throughout the United States. Running a plumbing company, full time, while trying to simultaneously manage your Ads campaign is a difficult task. It becomes easier when you have expert advertising campaign managers on your side, like those from Plumbing Webmasters. Our experts have decades of experience managing Ads campaigns for plumbers and would be happy to assist you with your paid advertising endeavors. Call (877) 388-9884 for plumber Google Ads management services. Faster Progress: No one is disputing that organic SEO is great, but it takes time to really optimize online. With Google Ads, you are able to see more consumers going to your website, which will lead to more sales. Smartphone Compatible: More and more people are using their smartphones to search for goods and services. When someone searches for something on their phone, Google Ads are listed at the top of the page, making it more likely for consumers to click on those ads. Tailored Ad Campaigns: Google Ads can be tailored to fit your specific PPC campaign needs. We can target specific keywords, location, etc. to attract your potential customers. Track Results and Customers: With Google Ads and Analytics, we are able to track online metrics and customer behavior. 2019 is a great time to take your plumbing website to the next level. As the world gets more digital with each passing year, imprinting your mark in that space will work wonders for your overall marketing success. Though organic SEO is still the most effective marketing technique in terms of long-term ROI, PPC can supplement that method while goes through the implementation stage. As a result, you should see increases in lead generation, website traffic, and sales conversions. We are eager to get started with your Google Ads campaign today! Managing a plumbing company full time is a large commitment, from scheduling main line leak repairs to mapping out your jobs and locations for the upcoming week. Finding time for pay-per-click advertising can be a task too tall. With Plumbing Webmasters Google Ads management services, you can leave that to our experts. While you focus on performing the best jobs in your service area, we will be generating new leads for you to add to your customer base. 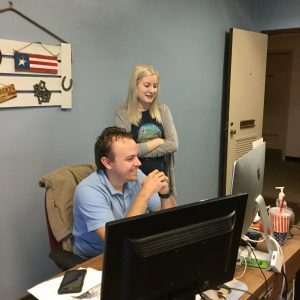 There’s no downside to utilizing our campaign management services. The money wasted on Google PPC campaigns is significant and can cost your company serious investment dollars. Without experience with campaigns, or the data output necessary to conduct useful measurements, pay-per-click can end up as money down the drain. The good news is that Plumbing Webmasters is here to prevent waste from accumulating. We ensure your campaign is fully optimized and producing the greatest possible ROI for your business. To learn more about Google Ads management services for plumbers, give us a call today at (877) 388-9884. Updated on April 17, 2019 at 3:27 pm by Plumbing Webmasters.